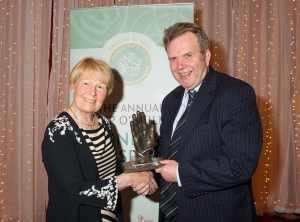 The first recipient of the Tip O ‘Neill Donegal Diaspora award was Mr Niall O’Dowd, one of the most prominent members of the present day Irish Diaspora. Niall was born in Ireland and emigrated in his mid twenties to the US in June 1978. As a successful journalist and editor, he worked tirelessly for the Irish émigré in the US and played a pivotal role in the Irish Peace Process. He was the leader of an Irish American peace delegation to Northern Ireland in the early nineties, in fact former president Clinton has stated that his involvement in the Northern Ireland issue came about through his relationship with O’Dowd. 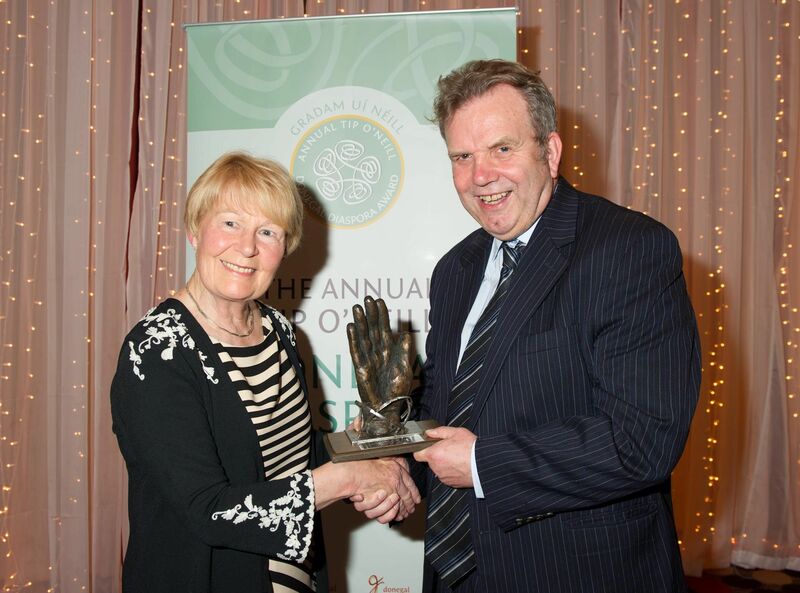 He is also founder of Irish central, a global internet website and the Irish Voice newspaper. Patricia Hume, wife of John Hume. John is regarded as one of the most important figures in the recent political history of Ireland and one of the architects of the Northern Ireland peace process.